The rumor that Eon Productions has caught “Universe Fever” referenced by Jeff Sneider, editor in chief of Tracking Board, generates a few questions. To be clear, this post isn’t an endorsement of the idea. The source of the rumor is vague and unclear. These are questions raised by the rumor itself. Bond movies are coming out at irregular intervals. How do you add output of additional 007 characters? Since 1999, Bond movies have come out at intervals of three years, four years, two years, four years and three years. Right now, it’s up in the air whether the interval between 2015’s SPECTRE and Bond 25 will be three years or four years. Part of this has involved financial instability at 007’s home studio, Metro-Goldwyn-Mayer. MGM went through a bankruptcy in 2010. 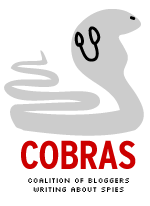 It emerged as a smaller company, without its own film distribution operation. However, Eon boss Barbara Broccoli has also stepped up production of non-Bond movies such as The Silent Storm and Film Stars Don’t Die in Liverpool. How would Eon add film production of, say, other 00-agents, or Felix Leiter or Moneypenny? From the outside, it appears production of Bond movies themselves are a handful. Does MGM have the resources to produce a film universe? The Marvel Cinematic Universe (which began “Universe Fever”) is part of Walt Disney Co. The DC Extended Universe is part of Warner Bros. MGM, meanwhile, is a relative small fry. Remember, while Eon makes Bond movies, MGM and its partners actually pay the bills. The last four Bond movies have been released by Sony Pictures. Currently MGM has no studio partner to release Bond 25. If a 007 film universe becomes a reality, would Eon change the way it does business? Eon is like a big family company. To get a 007 film universe going, would it have to bring in new creative blood? For example, would you bring in additional creative talent to help get these other movies going? Or is giving additional duties to, say, Gregg Wilson (son of Eon’s Michael G. Wilson) sufficient? Gregg Wilson was credited as assistant producer on Quantum of Solace and associate producer on Skyfall and SPECTRE. If you were to launch a 007 film universe, do you do it before or after Daniel Craig leaves the role? Craig, 49, was announced as the film Bond in 2005. Do you do this now or wait until he moves on? The VISIT BRITAIN website has put out a promotional video concerning London locations used by SPECTRE. A number of crew members for the 24th James Bond film appear, including director Sam Mendes and associate producer Gregg Wilson. The short video appears below. The first behind-the-scenes video for SPECTRE has been posted, mostly showing the crew preparing to film an action sequence in Austria. One of crew members commenting in the short video is associate producer Gregg Wilson, son of Michael G. Wilson, co-boss of Eon Productions. The younger Wilson has been working his way up the chain of command over the past decade. He had the title of assistant producer on 2008’s Quantum of Solace and was promoted to associate producer in Skyfall. There are also brief comments by cast members Lea Seydoux and Dave Bautista. Star Daniel Craig and director Sam Mendes are briefly seen. The video is self explanatory and doesn’t have spoilers, except for those who don’t want to see anything before the movie comes out. If you fall in that category, don’t view the video below. WARNING: This is very much putting the cart before the horse. Nobody has said Christopher Nolan *will* direct Bond 24. The U.K. Daily Mail has reported only that the director has been *approached* about the job. Bear all that in mind before reading the following. This week, the Daily Mail newspaper in the U.K. reported that Christopher Nolan, director of three Batman movies from 2005 through 2012, had been “approached” about directing Bond 24. 1. What happens to writer John Logan? Logan was brought in by director Sam Mendes to rewrite Skyfall. Eon Productions originally announced that Peter Morgan would collaborate with scribes Neal Purvis and Robert Wade. Eventually, Morgan left without getting a screen credit. But Logan evidently impressed somebody because he was hired to write Bond 24 and Bond 25 while Purvis and Wade departed the series. But things can change, as Morgan can attest. Christopher Nolan is fond of writing his own movies, either by himself (Inception) or collaborating with his brother Jonathan Nolan and David S. Goyer (the three Batman movies or the upcoming Man of Steel, which was produced by Nolan). If Nolan comes aboard, will Logan stay or go? 2. Do other members of Nolan’s posse also participate? Nolan has a production company, Syncopy. That logo ended up being featured at the start of the third Batman film, The Dark Knight Rises, along with the logos of Warner Bros. and Legendary Pictures. Ditto for Man of Steel. The Syncopy group includes Emma Thomas, a producer who’s married to Nolan, and Charles Roven, another producer. Also, Nolan frequently collaborates with Wally Pfister as director of photography. Pfister is directing Transcendence a movie scheduled for a 2014 release. While Eon may be interested in Nolan’s services as a director, would it also hire Nolan-affiliated producers such as Thomas and Roven? Eon, led by Barbara Broccoli and Michael G. Wilson, has its own group of supporting producers, including Gregg Wilson, the son of Michael. On the other hand, Eon has probably would be open to hiring Pfister. That would be similar to Skyfall, where Roger Deakins was brought on as director of photography because Mendes wanted him. 3. Would Hans Zimmer be the newest 007 composer? Zimmer also works frequently with Nolan. Again, that’s a situation similar to Skyfall, where Thomas Newman was hired as composer because of his relationship with Mendes. A Zimmer-scored Bond 24 might be similar to Skyfall in other ways. Mendes said that Nolan’s The Dark Knight from 2008 influenced the 2012 007 movie. Some tracks of Newman’s score (particularly the Shanghai sequences and the action sequences at the Macao casino) sounded similar to Zimmer’s music for Nolan’s Batman films. 4. What would the running time of a Nolan-directed Bond 24 be? Probably not short. Batman Begins was 140 minutes, The Dark Knight was 152 minutes, Inception was 148 minutes and The Dark Knight Rises was a whopping 165 minutes. UPDATE (May 22): The Latinos Post Web site has a short article about actresses Nolan has cast in various movies and whether they could become part of the cast of a Nolan-directed Bond 24. 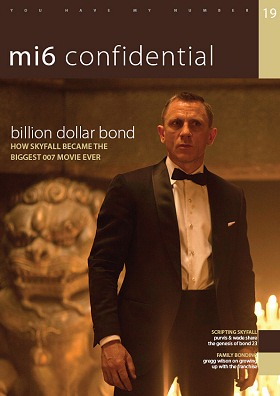 MI6 Confidential’s new issue with a look at Skyfall that includes an interviews with two of its screenwriters as well as the son of Eon Productions co-boss Michael G. Wilson. Whilst pundits’ predictions of Skyfall’s success definitely rang true, the 23rd Bond adventure surely surpassed even the most optimistic auspices, both in terms of substance, and box office success. This issue celebrates that success, with a look at the global promotion and Royal World Premiere, and we turn back the clock to pre-production as screenwriters Neal Purvis and Robert Wade describe the genesis of the Skyfall screenplay in an exclusive interview. Purvis and Wade, after a five-film 007 run, have said they’re departing the series. From The World Is Not Enough through Skyfall, they’ve done the early drafts of Bond scripts with (for the most part) other writers revising their work. Also interviewed is Gregg Wilson, whose first name matches his father’s middle name. The younger Wilson has been working his way up the Eon chain. His named appeared as a byline of a magazine story that Pierce Brosnan’s Bond is reading about Gustav Graves in 2002’s Die Another Day. By Quantum of Solace, he had a real credit in the main titles as assistant producer. 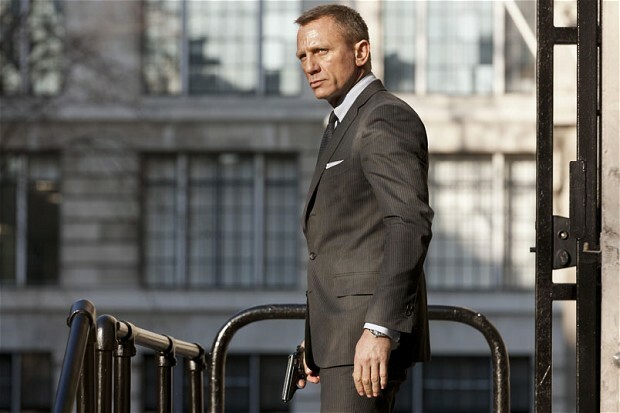 For Skyfall, he carried the title of associate producer. The new issue also has a story about Judi Dench, who concluded a 17-year as M and a feature about Naomie Harris, whose agent Eve turned out to be the new Miss Moneypenny at the end of Skyfall. For more information about contents and ordering, CLICK HERE. The price is 7 British pounds, $11 or 8.50 euros depending on where you live. Bérénice (Lim) Marlohe, unable to solve the mystery of the different Skyfall poster and movie credits, has a sip of Jameson’s. So, Skyfall has been out for a few weeks and is about to become the highest-grossing James Bond movie of all time. But there are a couple of oddities that nobody has explained and, to be honest, almost no fans are talking about. What are those? The odd differences in credits between the movie poster for the 23rd James Bond movie and the main titles of the film itself. Exhibit A: Actress Berenice Marlohe. Or is it actress Berenice Lim Marlohe? On the poster and regular advertisements (such as the one on page C13 of the national edition of The New York Times on Nov. 16), she’s billed as Berenice Marlohe. But, in the main titles designed by Daniel Kleinman, she is listed as Berenice Lim Marlohe. During the publicity buildup to Skyfall, she was also listed as Berenice Marlohe. Most people didn’t know she had a middle name until they saw the movie. Exhibit B: the different film editing credit between movie poster and movie. On the poster, it’s “STUART BAIRD A.C.E.” (That’s American Cinema Editors to you civilians.) The movie? Something a bit different. It says “Editors” (plural) and lists Stuart Baird in BIG LETTERS with a second name, Kate Baird in small letters. Kate Baird’s IMDB.com entry doesn’t list any specific relationship to 65-year-old Stuart Baird. Kate Baird was also as assistant editor on 2006’s Casino Royale, where Stuart Baird was the editor. Meanwhile, this arrangement in the main titles seems to be something of a first for the Bond series. A number of 007 films has two or three credited film editors (Diamonds Are Forever, Live And Let Die, The Man With the Golden Gun and Quantum of Solace among them). But with those 007 films, the name of the editors were all in the same size of type. So, did Kate Baird do more work than an assistant editor (thus meriting a place in the main titles) but perform substantially less than Stuart Baird (thus accounting for her name being smaller)? While this is trivial, agents spends lots of time and effort negotiating these details concerning the credits of major movies. One final note, that’s not an oddity but is worth mentioning. Gregg Wilson, the son of Michael G. Wilson, the 70-year-old co-boss of Eon Productions, got a promotion on Skyfall. The younger Wilson’s title on Quantum of Solace was assistant producer (his on-screen credit appeared with four other credits) while it was associate producer on Skyfall (sharing the screen with only one other name). Presumably, this is an indication Gregg Wilson is positioning himself among the next generation of the Wilson-Broccoli clan for a bigger role in the future.